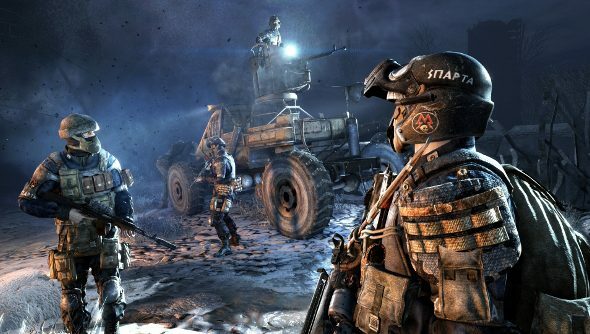 Deep Silver has put together a new video for Metro Redux, detailing all the big changes to both Metro 2033 and Last Light. It shows side by side comparison videos to make it clear that – especially in 2033 – these is a pretty serious overhaul. New lighting, textures, weather and skyboxes bring 2033 closer to Last Light, while both games have been tweaked for better performance. And on top of the aesthetic and technical changes, there are a slew of new secrets and encounters hidden in the gloomy underground tunnels. While Deep Silver and 4A Games appear to be most concerned with giving console players an experience that could only be enjoyed by folk with high end PC rigs until now, that doesn’t mean we’re getting left out in the atomic cold. The PC versions have been updated for 4k gaming, making them technically still superior, as long as you have a build that can handle it. It’s Metro 2033 that seems to have seen the greatest benefit from Redux, and now there’s a greater parity between both games. Last Light was already pushing my PC when it first came out, so I doubt I’ll be able to get much more out of it. I am tempted by 2033, though, as it’s been a good few years since I wandered through its recreation of the Moscow Metro. Redux comes with all the DLC, to boot.